The international event “Gastro Cup Serbia” is a competition of professional chefs and is held to the satisfaction of everyone for the second time. 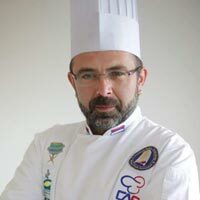 The aim of this championship is to gather as many professional chefs from Serbia, the countries of the region, but also from Europe and the world, to exchange experiences, implement new trends and modern techniques in the field of of culinary arts. 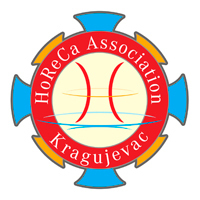 This championship will be organized during the international fair LORIST and will be held in the international halls of the Novi Sad Fair. 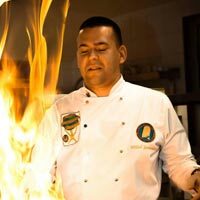 The main aim of the championship is the popularization of this profession and vocation, the protection of national brands, the popularization and development of national cuisine, the demonstration of modern achievements in the culinary world with modern cooking equipment. 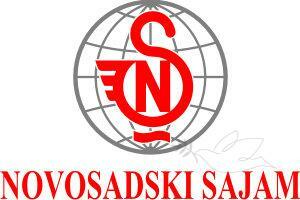 The project is also a promotion of the Novi Sad Fair of LORIST, gastronomic and tourist offer of Serbia, Vojvodina, tourist regions of Serbia, the monasteries of Fruska Gora, Danube Gardens, wineries, Vojvodina farms, but also all other countries from which the competitors want to participate in this event. We believe that gastronomy is an integral part of the tourism offer of each country, and for this reason we want to promote the region through the competition, which is certainly one of the biggest aduts for the whole Balkan region, because of the unique mix and the permeation of the various culinary traditions that have been rooted through history in these areas. The gastronomic offer of the whole region is what connects us ant that is what we want to highlight in the first plan through this competition and event. Program of the Gastro Cup Serbia, except competition of preofessional chefs will include a series of lectures on current topics such as healthy food and GMOs. Seminars will aim at affirming new tendencies in the field of gastronomy as well as providing new ideas and knowledge through education programs in order to obtain new staff of high quality. Gastro Cup Serbia 2018 is the senior part of the competition that will be held during the fair for tourism, hunting and fishing, horsemanship, horticulture and eco world called LORIST, participants, but also visitors will have a unique opportunity to be part of this beautiful atmosphere that will be created by merging all these related areas. Representatives of medium-sized catering schools and academies will compete in the first two days of the LORIST fair, on the 4th and 5th of October , while professional chefs will compete on the 6th and 7th of October for the last two days of the LORIST fair. The variety of booths that will be present, as well as lectures that will be conceived as COOK SHOW with the participation of our famous bakers, chefs and foreign guests, guarantee a pleasant atmosphere to all senses. We invite you to a unique event in Serbia where you will have not only what to see, but also to try, taste and learn. Promotion of Serbia, Vojvodina and Novi Sad during a festival.